In September 2018, researchers declared that the Spix’s macaw was extinct in the wild. Some members of the species survive in captivity and some of the captive birds have shown that they can breed. The fate of the species depends on their success and on human assistance and determination. Hopefully the bird will one day fly through its natural woodland habitat in Brazil again. This article describes forty facts about the parrot and its life in the wild and in captivity. BirdLife International is a major conservation organization. It estimates that 60 to 80 Spix's macaws currently live in captivity. When the bird was living in the wild, little research into its behaviour and ecology was performed. By the time scientists became interested in the macaws, their numbers were already very low. 1. The scientific name of Spix’s macaw is Cyanopsitta spixii. Its common name begins with a capital letter because it’s derived from the name of a person. Johann Baptist von Spix was a German naturalist who hunted and collected one of the birds in Brazil in 1819. 2. Like other birds, the Spix's macaw is classified in the class Aves. It's placed in the order Psittaciformes (parrots), the family Psittacidae (true parrots), and the subfamily Arinae (New World parrots). 3. The head of the bird is grey-blue in colour. There is a grey or white patch of skin in front of and around each eye. The body is a shade of blue. The undersurface of the bird is often paler than the upper surface, but sometimes the two areas are more or less the same colour. 4. The bird is smaller than most of the more vividly coloured and well known macaws and has a more delicate appearance. It's sometimes known as the little blue macaw. 5. Like other macaws, a Spix's macaw has a long tail and feet that grip well. It also has long wings. 6. 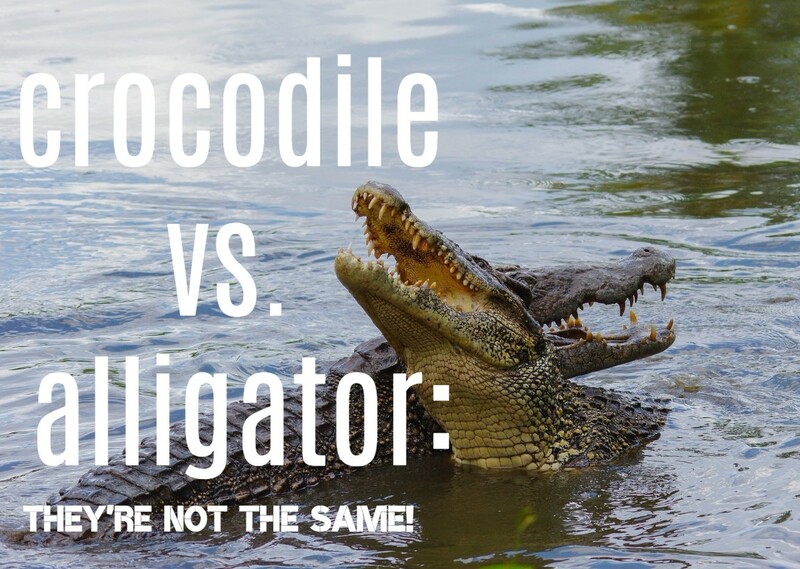 Males and females are about the same size. 7. Juveniles have a white or pink line along the outer edge of their beak, as shown in the photo above. 8. The bird is endemic to a small area in northeastern Brazil that contains gallery woodland. A gallery forest is one that exists when the conditions in the surrounding landscape don't support it. The forest may form in the moist area beside a river when the surrounding area is dry, for example. 9. 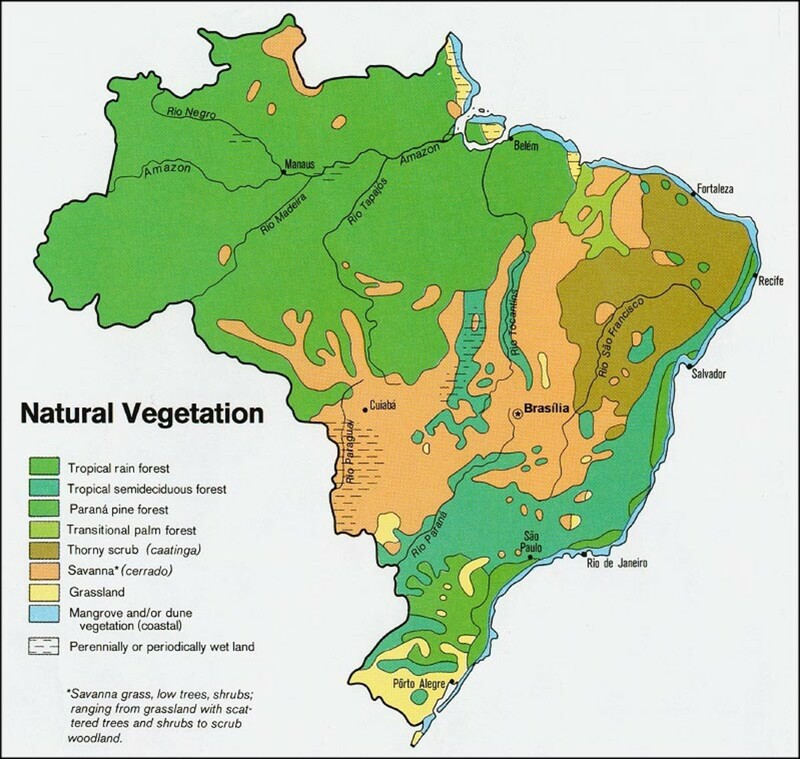 The area where the birds once lived contains a habitat known as the Caatinga, which is represented by the brown patch in the map above. It's a dry area containing small, thorny trees and shrubs. The macaws were found in a special region within the Caatinga habitat. They lived in the drainage basin of the river named Rio São Francisco. 10. The birds' habitat consisted of woodland containing a large population of caraiba trees and shrubs belonging to the spurge family (the Euphorbiaceae). 11. The bird fed on the fruits and seeds of the caraiba tree (Tabebuia caraiba). In North America, this tree is often known as the trumpet tree due to the appearance of its yellow, trumpet-shaped flowers. The seeds from spurges are thought to have been the bird's main source of food. 12. The macaw was seen in pairs and small groups. It's a monogamous species. 13. The nests were created in cavities found in caraiba trees and perhaps in other places as well. 14. Two or three eggs were laid in the summer. Captive birds sometimes lay four or five eggs. Incubation lasted for about a month. 15. 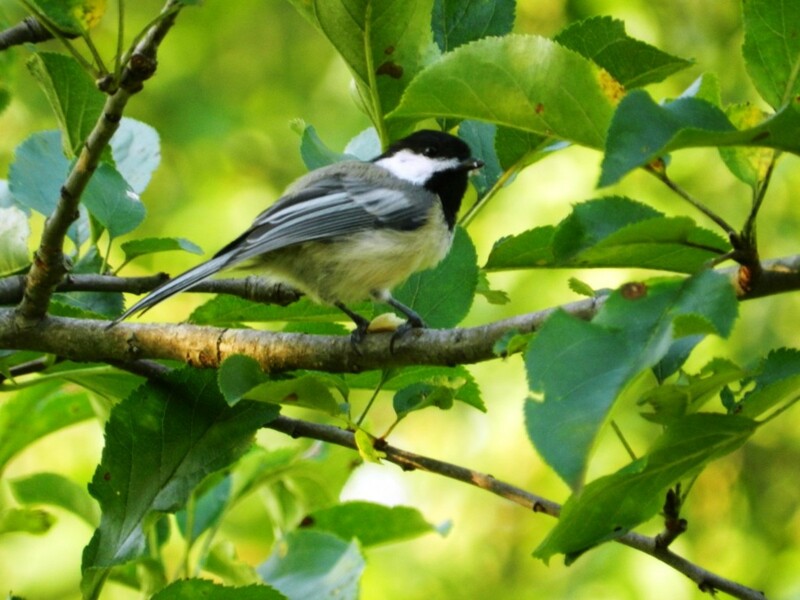 The wild birds are thought to have lived for close to thirty years. Birds in captivity may live up to forty years. 16. By 1985, people had known of the macaw's existence for a long time. Exactly when the bird started to experience problems is unknown, but its population probably decreased throughout the twentieth century. It may never have been a common bird. 17. In 1985, the first observations in a series signalling the end of the bird's life in the wild were made. 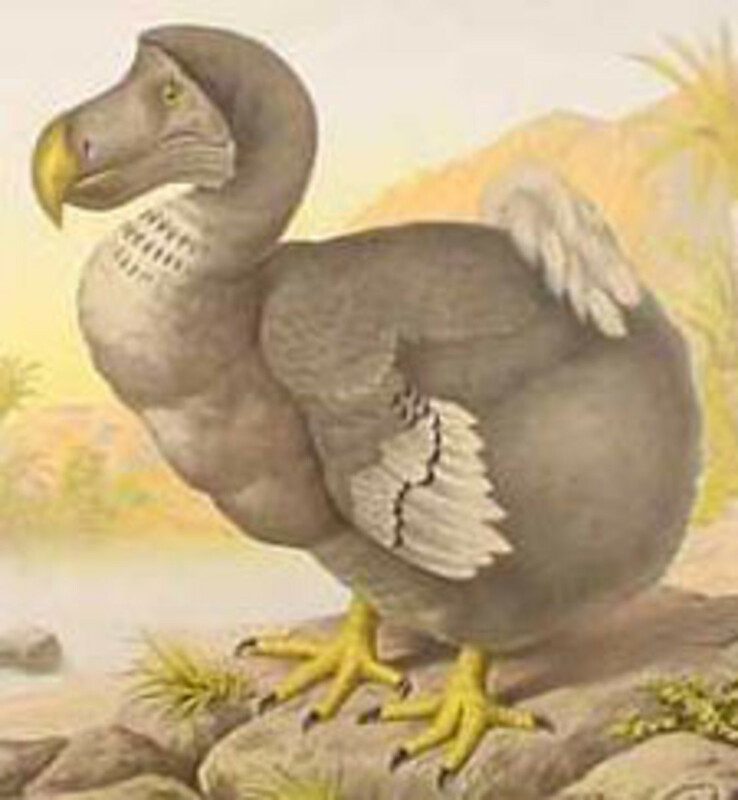 From 1985 to 1986, three birds were found at a site in north Bahia in Brazil. 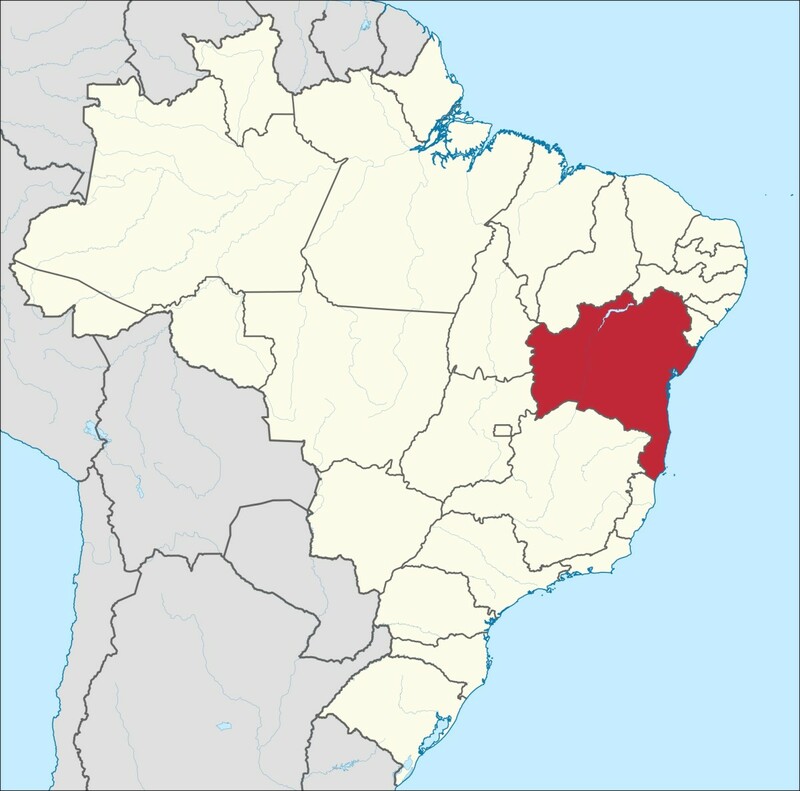 (Bahia is a Brazilian state and is the red area in the map above.) Unfortunately, in 1987 and 1988 the birds were captured, perhaps for the pet trade. 18. In 1990, investigators found a male at the site mentioned above. He was accompanied by a female blue-winged macaw (Primolius maracana). 19. In 1995, a captive female Spix's macaw was released at the site and appeared to pair with the male. She disappeared seven weeks later. She is believed to have collided with a power line and to have died from electrocution. 20. The male associated with the blue-winged macaw again. Neither bird was seen after 2000, however. This is the point at which the Spix's macaw was thought to have become extinct in the wild. 21. A sighting of a different Spix's macaw flying in the wild in 2000 caused much excitement, but the animal is now believed to have escaped from captivity. 22. In 2016, the bird below was filmed. The video is very brief and the bird is flying quite far away from the camera, but luckily he or she emits a call. Experts have confirmed that the animal is a Spix's macaw based on its body shape and its sound. Once again, the bird is thought to have escaped from captivity. 23. The 2016 discovery wasn't enough to prevent the species from being declared extinct in the wild in 2018. 24. The Spitz's macaw may never have been abundant and lived in a special habitat. This background probably made it susceptible to problems. 25. The main threat to the macaw population was the destruction of its habitat. According to BirdLife International, the gallery woodland where it lived has been lost and degraded due to colonization and exploitation for more than three centuries. 26. Another major influence on the bird's population size was trapping for the illegal wild bird trade. This became more important in recent times. 27. The creation of a hydroelectric dam may have had an influence on the population, and perhaps a major one, but its effects are uncertain. 28. In 1957, some Africanized honeybees escaped from a research facility in Brazil and spread rapidly. The bees were a hybrid of the African honey bee and European species. The escape may have affected the macaw population. The bees are very aggressive and readily sting both animals and humans. They build their nests in tree cavities and may have been competitors with the macaw. Spix's macaws are active and energetic birds. In captivity, they are best kept in a large aviary with a long flight path and lots of perches. 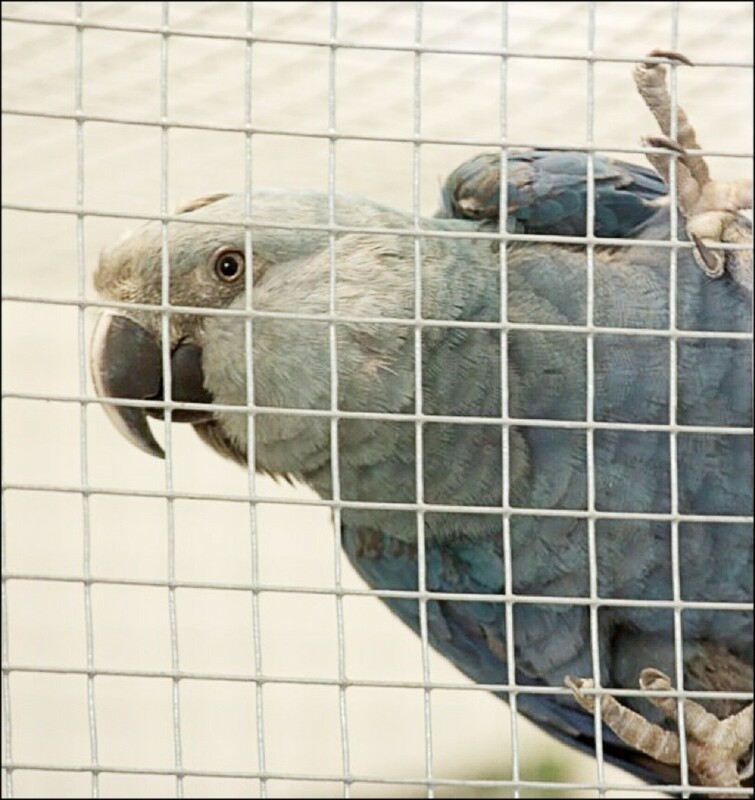 The video below shows a breeding facility run by the ACTP, or the Association for the Conservation of Threatened Parrots. 29. Presley was a captive Spix's macaw who spent the first part of his life in the wild. He died of old age in 2014, but he may still be able to help his species. 30. Presley was caught in Brazil and illegally brought into the United States. 31. He ended up in a woman's home in Colorado. He was kept in a cage and couldn't fly, but his caretaker seems to have been fond of him. He apparently showed a love of rock music and was named after Elvis Presley. 32. The caretaker eventually phoned a veterinary office about a problem in the bird. When he was examined and his species confirmed, authorities were contacted. 33. A deal was arranged. The woman avoided prosecution in return for giving up Presley so that he could be returned to Brazil. 34. The bird ended up in a refuge and breeding facility in Brazil, where he appeared to be happy. The administrator of the refuge said that he was a congenial and vocal animal who made friends with parrots of other species. 35. Presley didn't produce any offspring. He did mate with one female, but all of the eggs that were produced were sterile. 36. Presley was thought to have been around forty years old when he died. Before his death, the administrator hoped to use his sperm to fertilize females via artificial insemination. Since he was unrelated to the other captive birds, he sperm could have provided some genetic diversity. He died before the plan was carried out. His reproductive tissue has been preserved, however. It may one day be useful in the effort to save the macaws. Breeding facilities for the Spix's macaw are located in Brazil, Qatar, and Germany. Unfortunately, the birds in the facilities are descended from a small group of captive macaws that consisted of only a few male-female pairs. 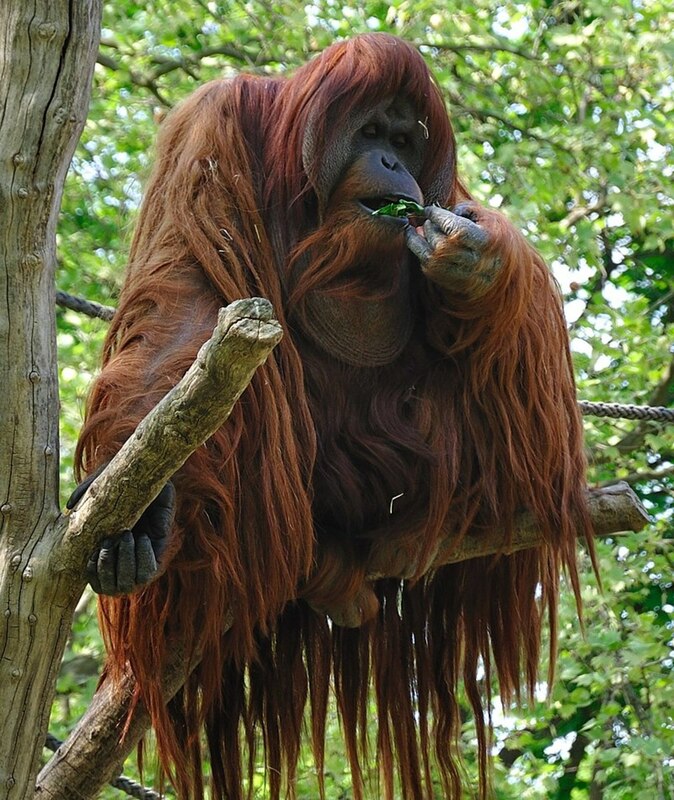 There is limited genetic diversity in the captive animals today. Diversity is useful because it may allow some individuals to survive a stress that kills others. 37. The Spix’s macaw was the inspiration for the animated film entitled "Rio", which was released in 2011. The word Rio in the title represents Rio de Janeiro. The plot involves the plight of two birds. 38. In the film, Blu is a male Spix's macaw who was captured in Brazil when young and is kept in Minnesota as a pet. He is happy, though he believes he is the last member of his species still alive. In addition, he believes that he is unable to fly. One day he hears that a female Spix's macaw named Jewel lives in Rio de Janeiro in Brazil. He and Linda, his human caretaker, go to Brazil to find Jewel in the hope of saving his species. After Blu and Jewel have many adventures and Blu discovers that he can fly, the story has a happy ending and three young macaws are produced. 39. It's said that the plot of the film was specifically inspired by Presley and his experiences. Like Blue, Presley was captured in Brazil, kept in the United States as a pet, where he was unable to fly, and then returned to Brazil in an attempt to help save his species. 40. In real life, many places in the world have strict regulations about obtaining a Stix's macaw and keeping it in captivity. It's often illegal to do this. From right to left, the IUCN (International Union for Conservation of Nature) Red List abbreviations shown above represent the following categories. The Spix's macaw has just one more category left before it becomes extinct. The announcement of the Spix's macaw extinction in the wild was made along with an announcement about the disappearance of seven other bird species. Unlike the other birds, the Spix's macaw has a second chance because of the existence of captive animals. Producing enough birds to survive the dangers of life in the wild might be a challenge, however, especially when the current stresses exist. It would be a shame to release a group of precious captive animals and then discover that they died soon after their release. There is also another factor to consider in relation to the Spix's macaw. Should we actually try to save the bird? 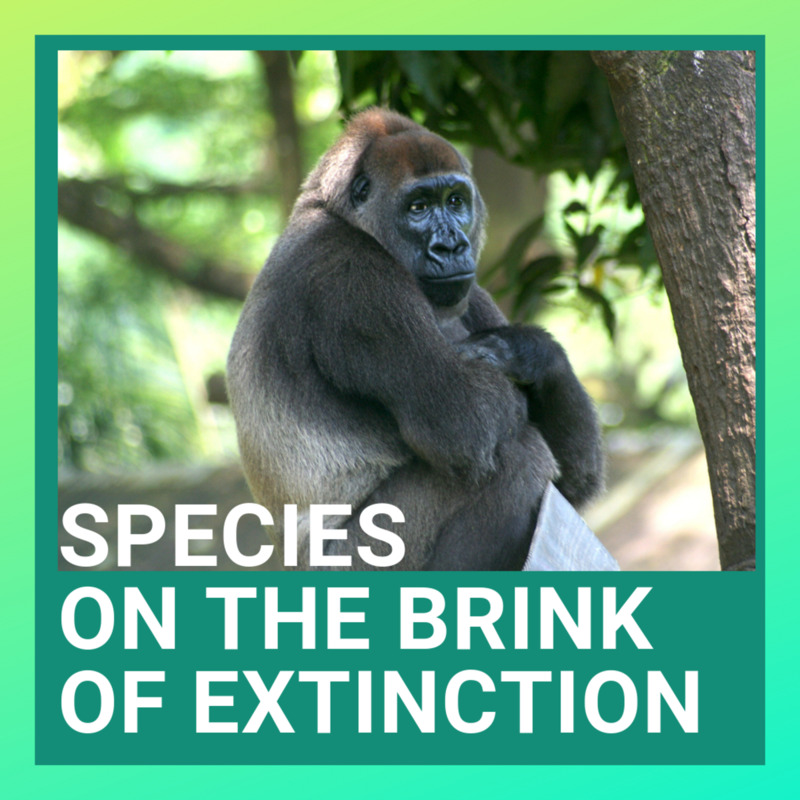 Extinction of a species has happened numerous times in Earth's history. The production of new species and the disappearance of old ones is part of life's record on the planet and took place long before humans appeared. It's a natural event. The Spix's macaw population seems to have been in trouble for a long time. Some people say that the bird should be left to face its fate and no efforts should be made to restock the wild population. Others point out that the destructive action of humans almost certainly sped up the macaw's extinction and say that we owe the bird a chance to live in the wild again. Whichever opinion prevails, I think it would be a shame for the bird to completely disappear. Thank you very much, Devika. I always appreciate your kind comments. Interesting and unique bird. You share beautiful hubs. Informative and researched in detail. Thank you very much for the comment, Genna. I hope the birds are eventually released into the wild and survive there. It's good that the species still exists, but the situation is still worrying. So many of nature's beautiful creatures are becoming extinct. The Spix macaw is yet another. Such beautiful blue colors...and they're monogamous. We can only hope the captive birds will survive once released into the wild. Superb article, Linda. Thank you. Thanks, Flourish. It sounds like Presley was an interesting bird. I wish there were some video clips of him available. This was educational and entertaining, and your description of Presley and the movie Rio makes me want to see the video. I bought the video for my niece and nephews but have yet to watch it myself. Hi, Natalie. Thanks for commenting. One source that I read said that there were plans to release some of the captive macaws when 150 birds exist. This seems too soon to me. We'll have to see what happens. I do want to see the bird back in the wild as soon as possible, but there are potential dangers for the species at the moment. As you say, we don't treat living things or the environment very well. It's so sad that we are responsible for so many species going extinct. Are there currently plans to reintroduce this bird back into its natural habitat or will that just depend on whether they can manage to get enough of the ones in captivity to breed? But then if they have generations and generations in captivity and try to reintroduce them what the chance of their survival in the wild? Regardless of the fact that species have gone extinct before and perhaps it's a natural process that occurs every so often I can't imagine the high number of every kind of living thing that has gone extinct in the last 100 years or so is natural and aren't in large part the result of what we are doing to our planet. 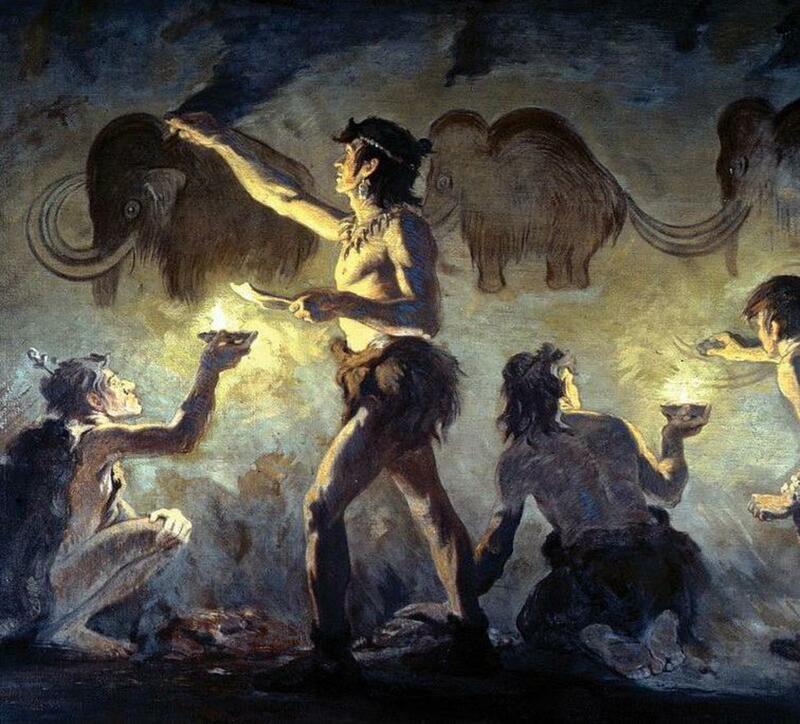 Pollution, deforestation, hunting, expansion, harm to the environment among other things must have led to extinction of countless living things, plants and animals alike. After all, look what we've done to each other. If we can't refrain from killing each other why would other species matter to us or be something we go our of our way to protect? Thanks for another interesting article, Linda. Thank you, Manatita. Extinction does happen, but in this case it would be nice to avoid or delay it. I hope things go well for the bird. Yes, it would be harsh if this Spix's macaw disappears or become extinct. sadly, that's how things eventually go. I learnt a lot!! Hi, Eman. I think it's a beautiful bird as well. It's very sad that so many animals are endangered at the moment. Thank you for the comment. This bird is very beautiful to look at. We are currently hearing a lot about endangered or already extinct creatures and this is already sad. Thank you, Linda, for writing about this beautiful bird. Thank you very much for the congratulations, Bede! I agree with your statement. We are responsible for the bird's extinction in the wild and we should preserve the species. Our destruction of natural habitats for our own purposes is causing problems for wildlife in many places. It's a sad situation. The macaw that you met sounds like an interesting bird! Hi Linda, congratulations on your 500th article! Amazing! Hi, Heidi. I hope scientists are able to stop the species from becoming extinct. Hopefully modern technology will be able to help the birds. So sad to see these amazing creatures go! With all the genetic research, cloning, etc. going on, maybe one day they'll be back. Thanks for sharing another wonderful creature with us before they become just a memory! I agree with your opinion, Bill. Though I wanted to present both points of view in the article, I think that the bird should be saved. It would be wonderful if it could be successfully introduced into the wild again. Hi Linda. What a beautiful bird, but how sad that they are struggling to avoid total extinction. I am of the opinion that we have probably caused some of this by altering their habitat and we should do what is necessary to try and save the species. The easy thing to do would be walk away and let nature take its course, but every life, even that of a Spix's Macaw is worth saving. Thank you as always for the education. Hi, Bill. Yes, I think we'll see many more extinctions announced in our lifetime, too. It's sad to think of the disappearance of an organism that once existed. I hope this doesn't happen to the macaw. Hi, Ethel. Yes, extinction is sad, especially when humans are responsible for the situation. Thanks for the visit. So sad all the creatures heading for extinction and most due to humankind. I agree, Mary. I hope the bird exists for a long time to come. I hope that they won't be allowed to go extinct. 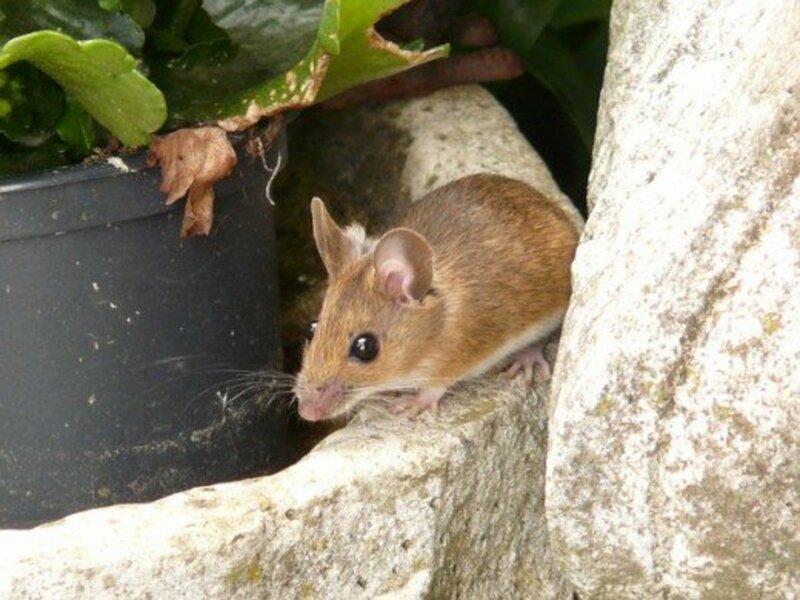 I understand the point of view of allowing species their natural development but I think every effort must be done to preserve those that are still around.